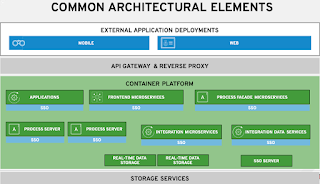 This week the newest release of OpenShift brought two really great features to an already awesome PaaS Cloud provider. 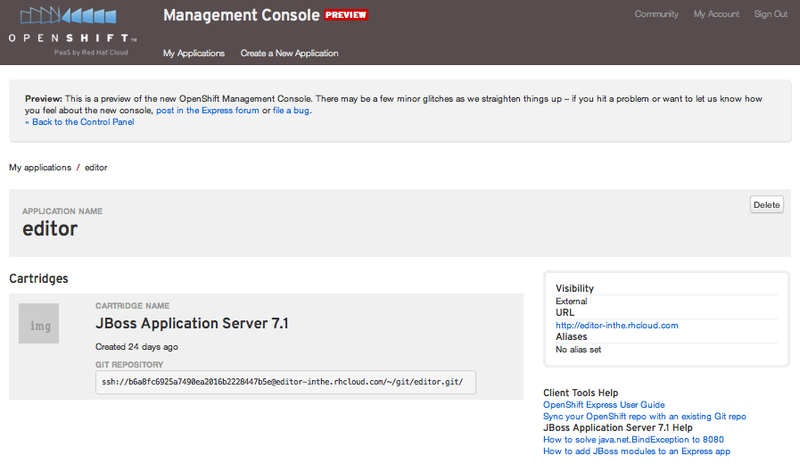 First, JBoss AS has been upgraded from 7.0 to 7.1 and the all new Express Web Management Console has been released as a preview. In this article we examine how to use this new console and will help you create and then destroy an application. 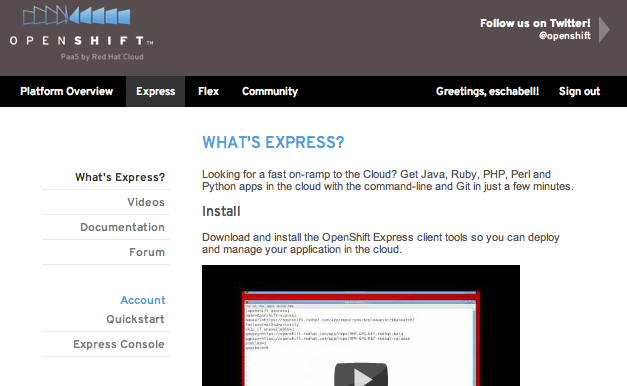 In this section we assume you have already registered as an OpenShift user and are logged into the OpenShift Express start page. 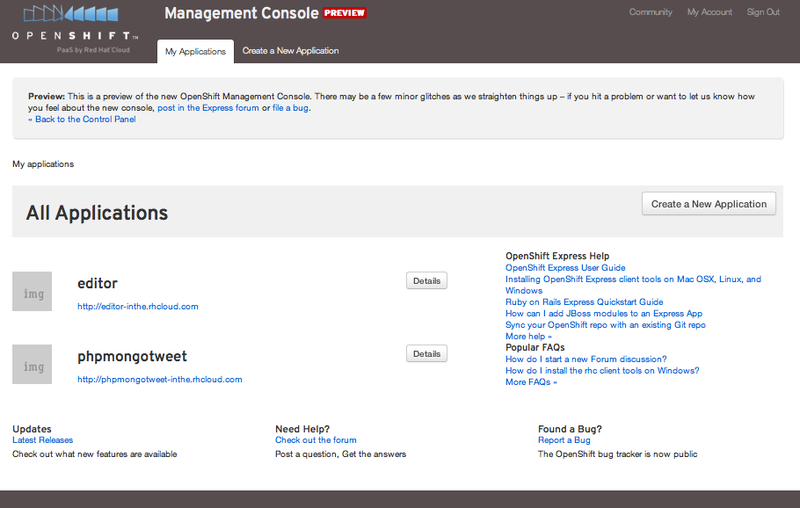 In figure 1 the Express landing page is shown and if you follow the Express Console link you will be brought to a page that currently shows the old administration console and includes a link to Preview the new OpenShift Management Console. Follow this link to the preview as shown for my user in figure 2. 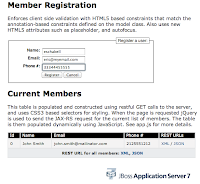 It provides an overview of the users existing application, with a Details button for each application. 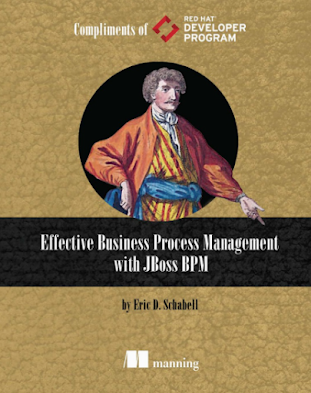 My user has two application already created, one a jBPM web editor project based on JBoss and a second PHP twitter project that makes use of mongodb as a backend, see figure 2. At the top of the applications list, you have a button to Create a New Application. We will be using this button to create an existing project called kitchensinkhtml5, a mobile application from the JBoss project Aerogear. The nice thing about this demo project is that you can view it both in your desktop browsers and in your mobile devices. 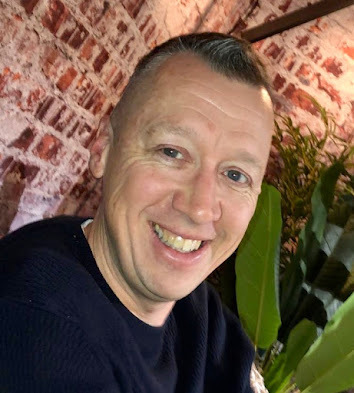 Since this user already has created a domain and has existing applications setup, we just need to start by using the Create a New Application button. 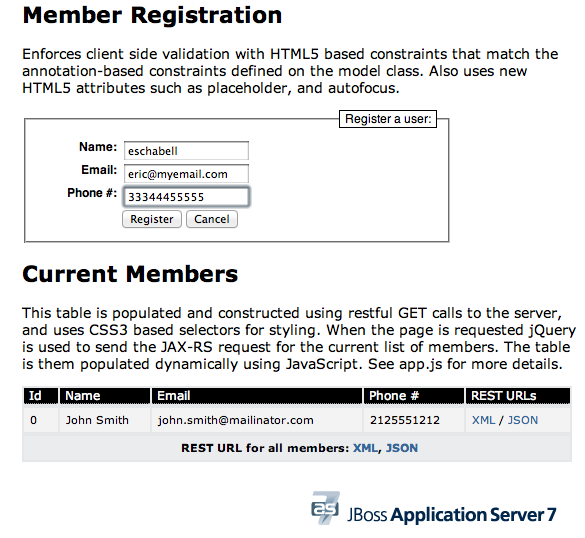 This takes us to the first of three steps where we will choose a type of application, which will be the JBoss Application Server 7.1 chosen by the Select button shown in figure 3. The next step is to configure and deploy the application, done by filling in an application name in the provided text box and clicking on the Create Application button. We will be calling this application kitchensinkhtml5, so we fill in that name in the text box and submit to create our new application as shown in figure 4. You should see the mobile member registration application as shown here in figure 6. 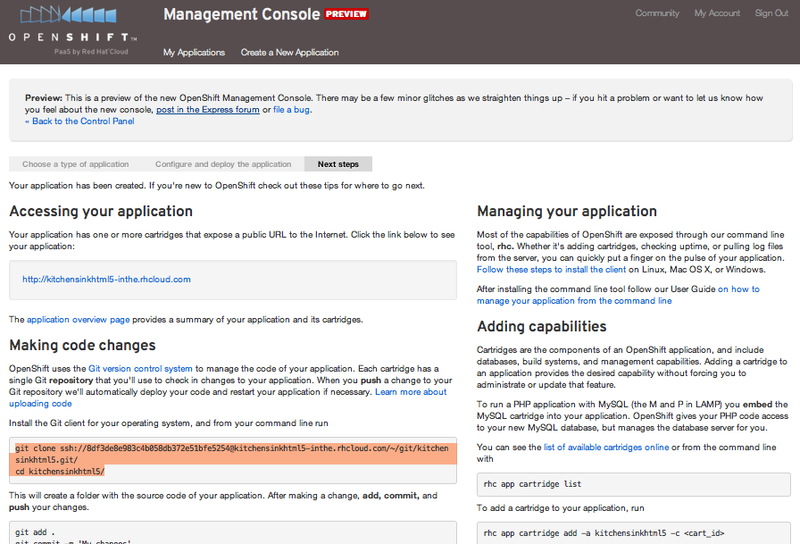 A final action that you can do with the new OpenShift Express Web Management Console is to destroy your application. As we only get five instances at a time, you will soon find yourself creating and destroying Express instances with ease. 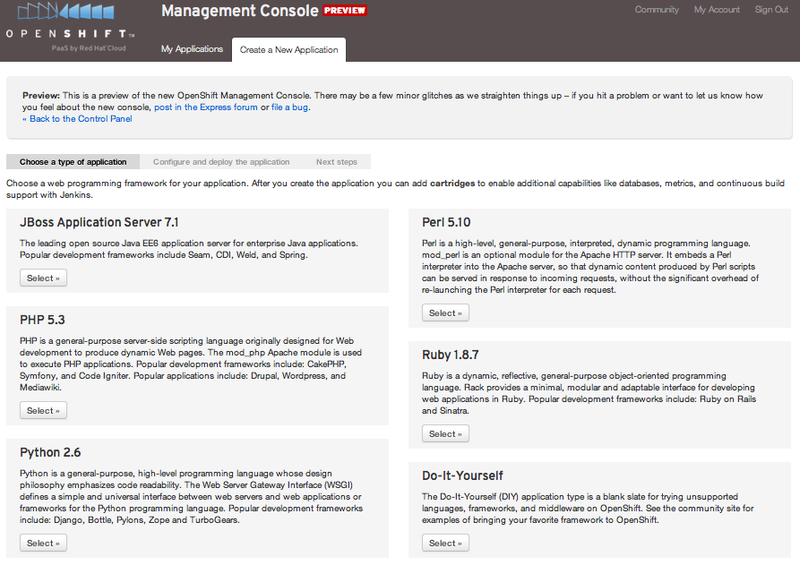 After logging in as described above and starting the preview of the web management console, you will see your list of existing applications. By selecting an applications Details button you will be shown an overview of the application, see figure 7 for our example editor application we will be destroying. You will notice a Delete button in the right top corner of the application overview screen, see figure 7. When selected, you will be asked to confirm that you really want to destroy this application. If you confirm this decision by clicking on the Delete button, your application and Express instance will be cleaned up. You will be returned to the application overview screen, see figure 8, and are ready for your next interaction with the Express Web Administration Console. 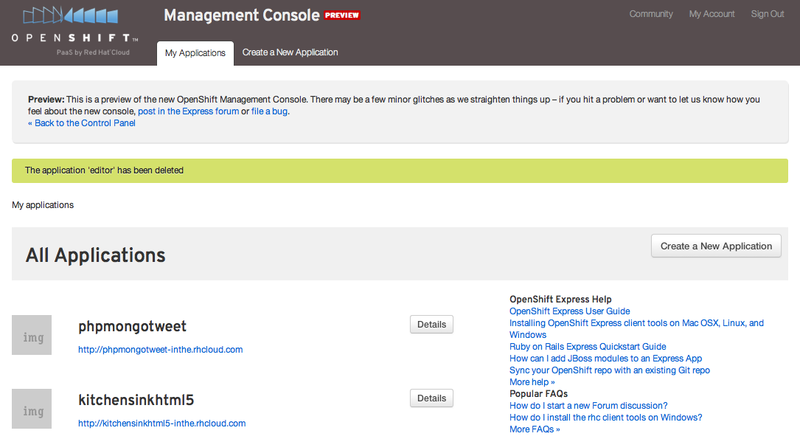 In this article we have covered the very basics of the newly released OpenShift Express Web Administration Console. We have shown you how to view your applications, create a new application and how to free up an Express instance by destroying one of your applications.